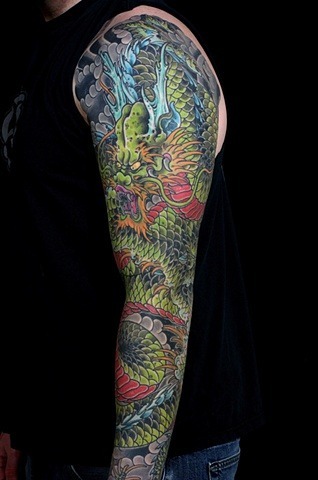 Tattoo Blog » Meet Jeff Zuck! 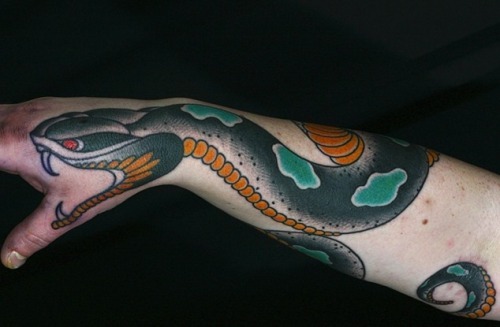 Tattoo Blog » Inspired » Meet Jeff Zuck! Whenever I’m searching for an artist to profile, I never decide in advance what sort of tattooist that I’m looking for. I never think about what style of tattoo that I really want to look for. The only criteria that I have when I’m searching for a Tattoo Blog tattoo artist profile is that they are good and that their art hooks my attention from the first glance. Some days though, a particular style of tattoo will just keep popping up everywhere I look. After a while, you kind of start to think that maybe this style is worth paying attention to. In the case of today’s artist profile, traditional style tattoo kept popping up everywhere I looked. I love the traditional/classic American style, but nothing was jumping out at me. And then I came across the work of Jeff Zuck. Wow. 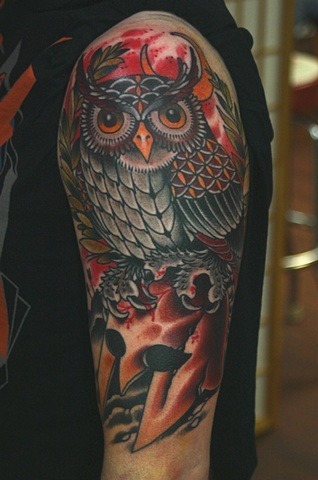 Gorgeous stuff and a strong ability to put down traditional tattoo. One thing that I’ve learned is that if you’re going to do traditional tattoo, it’s got to be bursting with even colour and nice fat lines. It’s got to “pop” as the kids say. Not only is Jeff Zuck’s work doing just that, but after checking out his traditional stuff, I discovered that he also does Japanese stuff and bang! I was floored for a second time! Jeff Zuck is killing it. Zuck has been tattooing since 1993 and tattoos at Name Brand Tattoo in Ann Arbor, Michigan. I have to plead ignorance on knowing much about the state of tattoo in Ann Arbor, but I can tell you that it’s worth a visit for Jeff Zuck alone. Keep up the great work, Jeff!